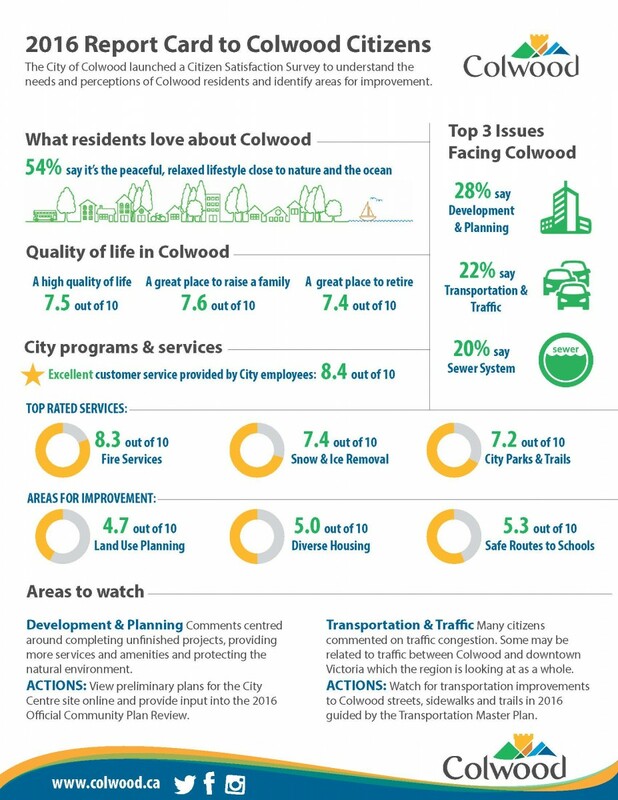 The City of Colwood conducts citizen satisfaction survey to help Council and staff better understand citizen needs and expectations. 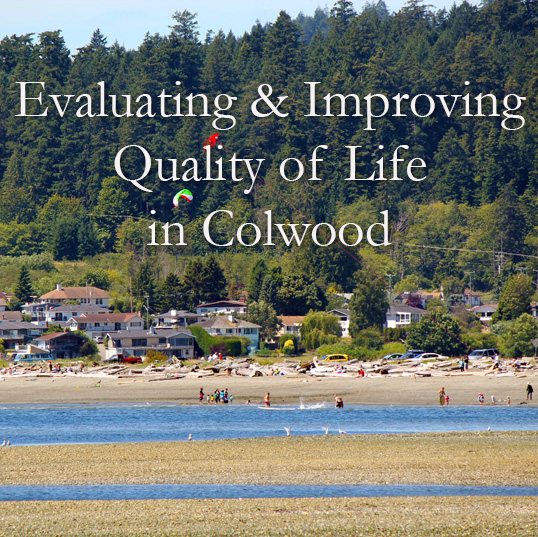 It is an opportunity for residents to share their views about the quality of life in Colwood, which city services are most important to them and where there is need for improvement. The City has conducted surveys in 2015 and 2017. 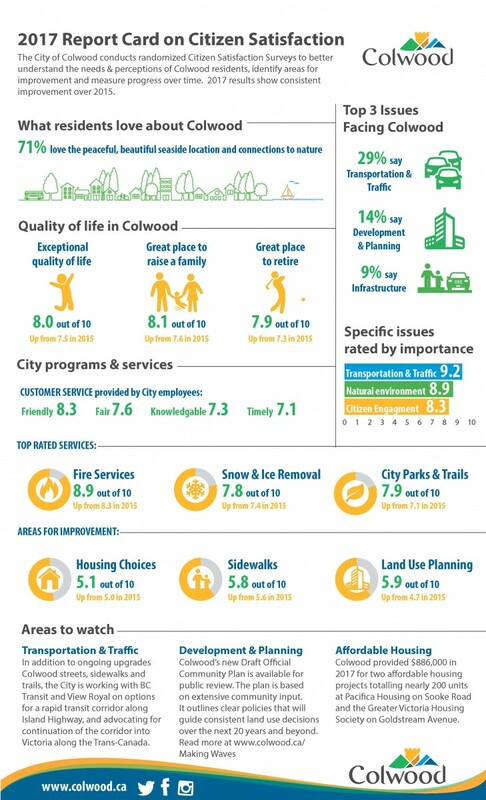 Colwood Council and staff are continually working to improve our community and the services we provide for our citizens. Asking residents ‘how are we doing?’ and ‘what’s most important to you?’ provides critical information to help measure our progress and make decisions about the community-building services, projects and initiatives the City will focus on. Who can take the citizen survey? The survey is for Colwood residents only. For the 2017 survey, Colwood residents were contacted by phone between October 25 and November 9, 2017 to gather input from a random sample of 400 citizens. This approach is the most scientific way to hear from broad range of residents throughout the community. Colwood residents not contacted by phone had the opportunity to complete the survey online. Survey results were presented to Colwood Council on November 27, 2017. You can view the presentation here. The infographic below provides an overview of survey findings (click the image to view it as a pdf). Findings will inform the City’s 2018 strategic planning and budget processes to guide short and long term priorities. The information will also be compared with previous survey data to evaluate the impact of improvements over time. Results of the survey were presented to Council on February 22, 2016 by the research company who conducted the telephone survey. You can view the presentation here. The infographic below provides an overview of survey findings (click the image to view it as a pdf).